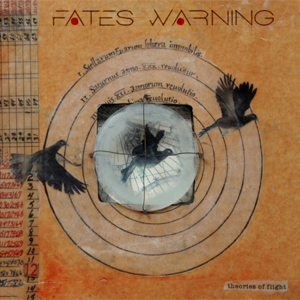 In light of the upcoming release of their 12th studio album, Theories Of Flight via InsideOutMusic on July 1st, 2016, U.S. Progressive Metal pioneers FATES WARNING are now launching an album sampler video, containing excerpts from all songs on the album. Check out the clip, which features footage entitled Feeding The Gulls by Dennis Hlynsky, below. I/we are very happy with the way that Theories turned out. Jim and I collaborated practically every day on the new album for over a year until we actually went into the studio.. There were many different versions of the songs until they were finally complete, and I believe it shows in the final product. I think that Jim did an excellent job producing the new album. The material is, I believe heavier than what people are used to from us, as well as my vocal style. We wanted something different than Darkness but something that still carried a lot of melody."